I finally broke in my tiny oven in my tiny apartment in Toronto! 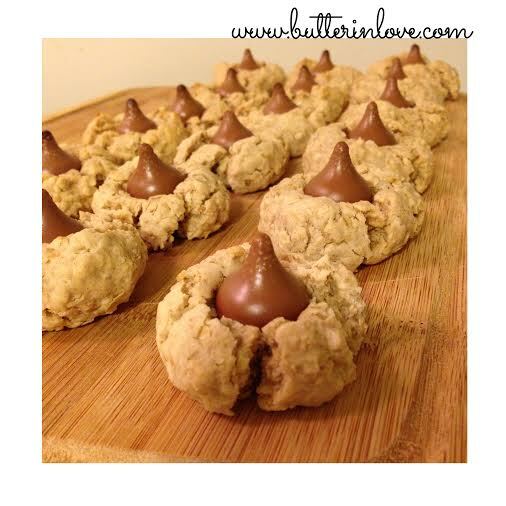 With very limited supplies I was able to whip up these cookies which are a nice alternative to a peanut butter blossom with the yummy Hershey kiss. 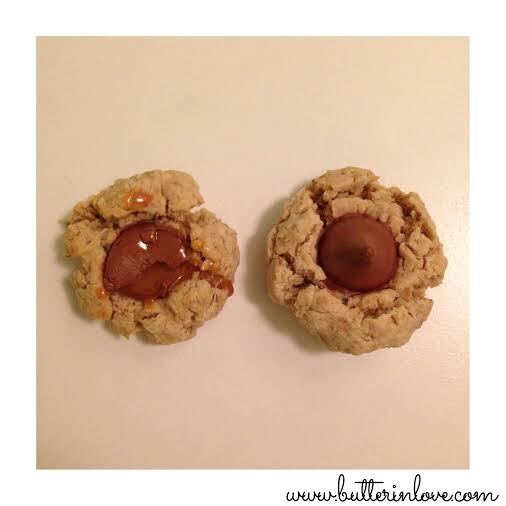 I used the kisses that have caramel in the middle which gave them a little something extra. I used this recipe since it has no baking powder, baking soda or peanut butter all of which I did not have on hand. A half batch was also plenty of cookies in my opinion. About 20 cookies. Without a mixer or a real thermostat on my oven I feel good about the inaugural batch of cookies! Enjoy! Author: Teresa Ambra ­ adapted from a magazine back in the early 1980s. blended occasionally scraping bowl with rubber spatula. 2. With wooden spoon, stir in oats and flour. 3. Preheat oven to 350°. 4. Grease large cookie sheet or spray with cooking spray. 5. With hands, shape dough into 1­inch balls. 6. Place as many balls as possible, about 2 inches apart on cookie sheet. 7. Bake cookies about 8 minutes. 8. Meanwhile, remove foil wrappers from candies. 10. Bake an additional 6­-7 minutes until chocolate starts to glisten and cookie is done. 11. Let cookies cool in pan a few minutes. 12. With pancake turner, carefully remove cookies to wire racks to cool. 13. Store cookies in tightly­covered container to use up within 1 week. Thanks for linking my recipe.